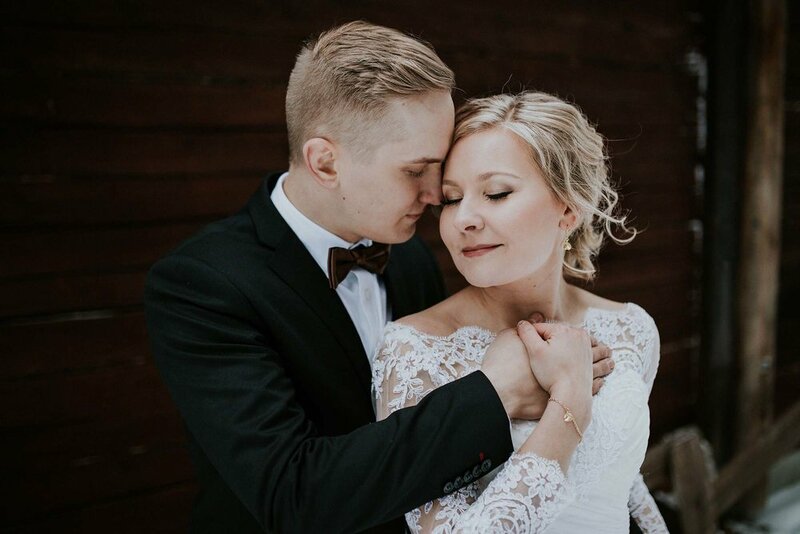 It's both an honour and a struggle when friends ask if I will photograph their wedding. 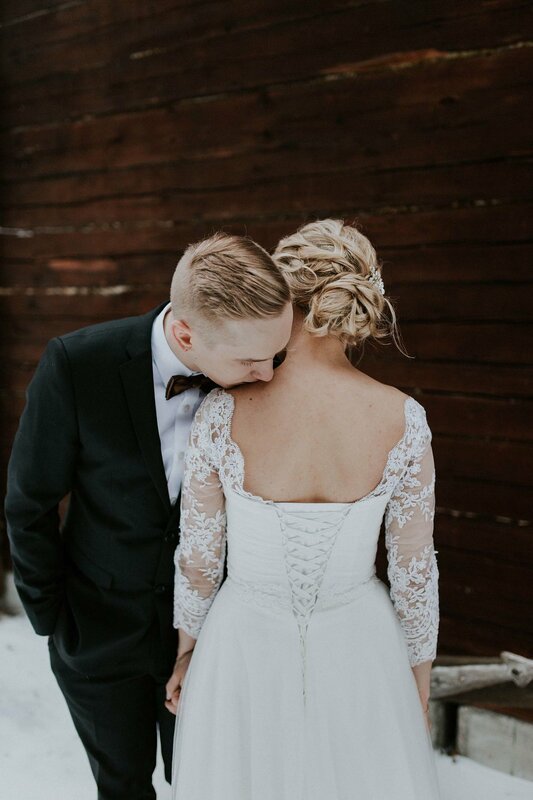 I want nothing more than to be the one to tell their story, yet I've learned that if I am photographing a wedding it is impossible to also be a guest. 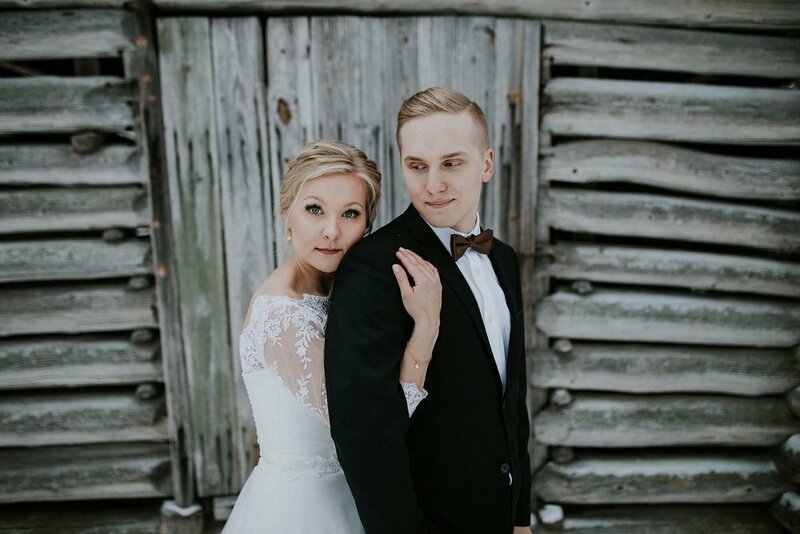 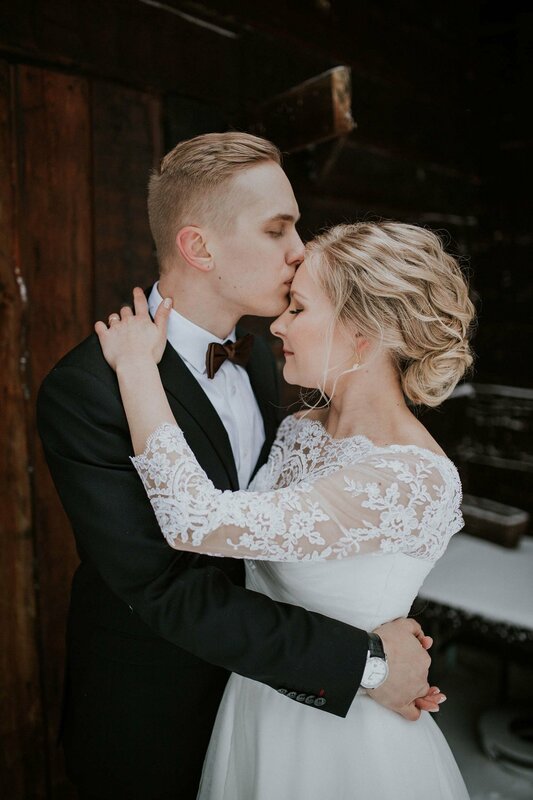 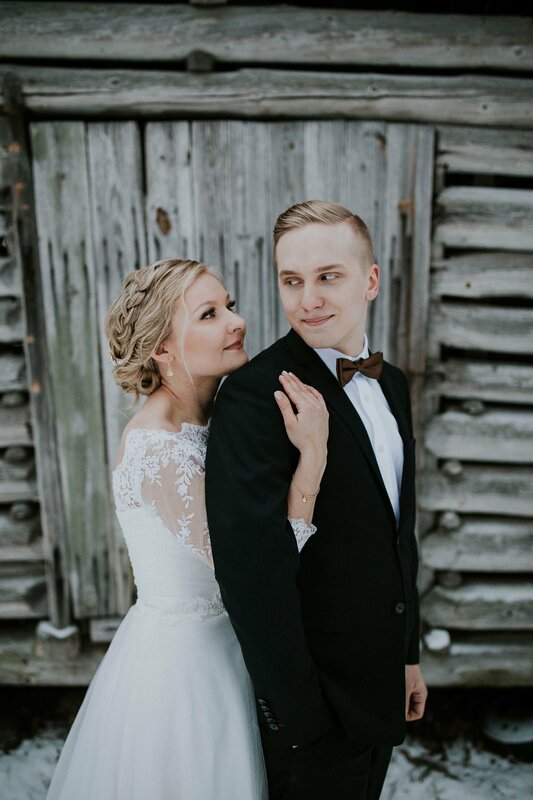 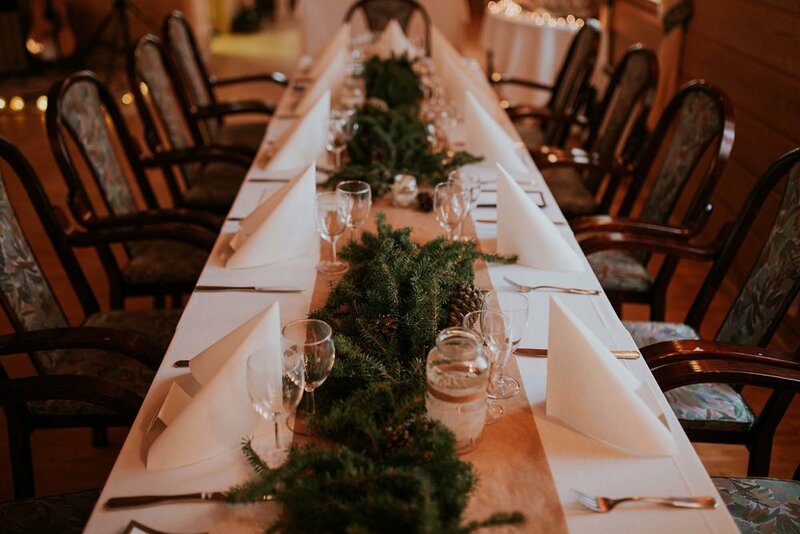 However, for these two I was able to take their portraits and a few details of their lovely decorations at the Majakoski estate in Jyväskyla. 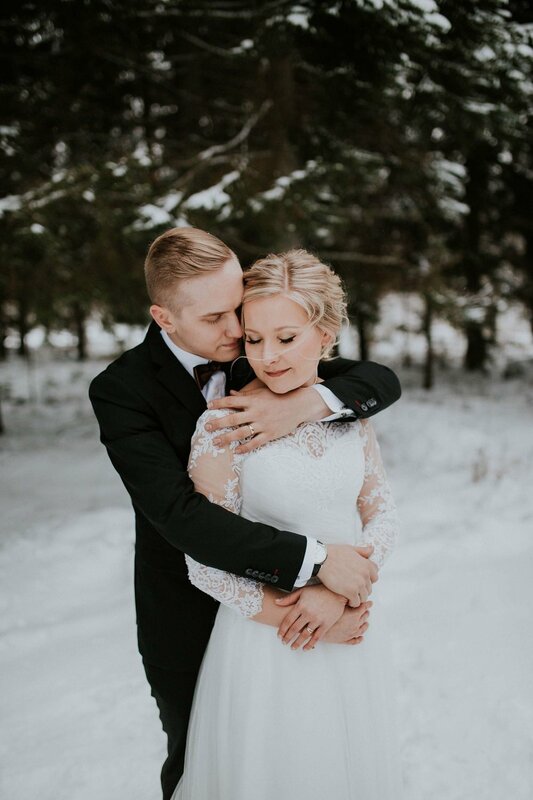 The snow poured down the day before to give us this beautiful white blanket backdrop and Salli's dress seems to just disappear into it. 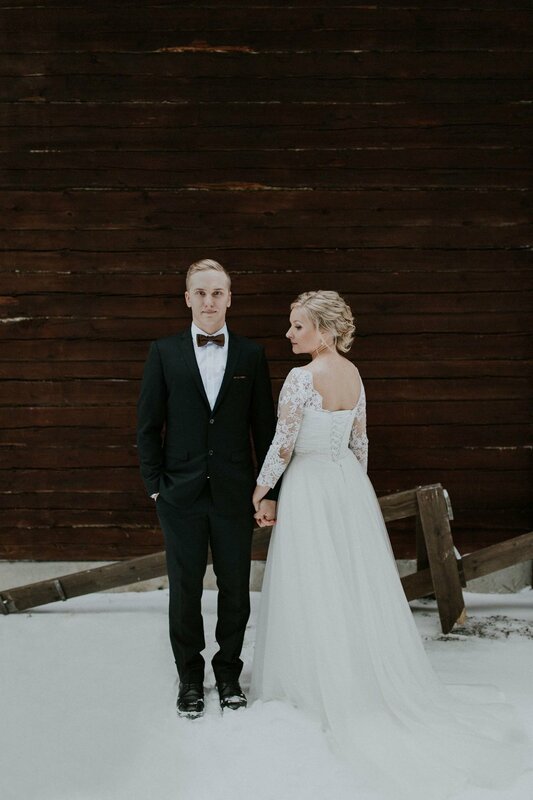 It was such an hour being able to take the portraits from this day.